The community pool will open on May 27, 2019 and will continue to stay open through Labor Day, until September 15, 2019. 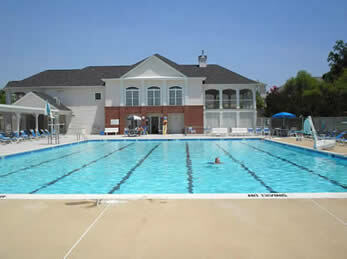 McNair Farms has launched a new pool registration form online. Resident's are now able to complete this without scheduling an appointment at the office. If you have pool ID, you only need the 2018 green stickers. If you need to request the stickers. please email myafi@capitolcorp.com. .
1. Complete registration form 2019 POOl MEMBER APPLICATION and email to myafi@capitolcorp.com with a digital photo of each one older than 12 years old. 2. Email proof of address to myafi@capitolcorp.com. Copy of driver’s license and lease agreement . 3. Once completed/verified, the office will send you an email and will leave your passes at the pool for pick-up from the lifeguards during pool hours. Please be advised this is for resident's only. Outside Members are asked to schedule an appointment at 703-713-6111. Current photo I.D Cards are required to be present in order to gain entry to the pool. The photo I.D you were previously issued will be used again this year as your pool pass. Please be sure to place the "GREEN MFCA 2018” sticker on the pool pass DO NOT throw-away your pool I.D. after the season! You will receive updated yearly stickers to place on your I.D. Please contact 703-713-6111. Please return the damaged cards to the Mc Nair Farms community center for a new card. A replacement card can be purchased for $25. Daily (May 27-September 2) 10:30 A.M. to 8:00 P.M. Weekdays (September 3-13) 3:00 P.M to 7:00 P.M. Weekends (September 7-15) 10:30 A.M to 7:30 P.M. The McNair Farms Community Association is offering a limited number of Outside Membership Passes again this year for its neighbors in the surrounding communities! The registration fee for Outside Membership will be $500 for a family of 3 or more for the season and $400 for family of two. If you have friends and/or family in the surrounding areas that wish to become members of the McNair Farms pool, please have them contact the office at 703-713-6111 for further details. Guest passes may be purchased at the pool during normal operation hours using checks ONLY (payable to MFCA). Passes may also be purchased with cash or check in the Management office (Monday thru Friday from 10-3 P.M.). Day passes are valid for the remainder of the pool operation hours on that particular day. A maximum of four (4) guests per “resident household” per day will be allowed, depending on the capacity of the pool on the day of the visit. Additional guests must be registered in advance and must be approved by the manager in the community center. In addition to showing a current MFCA Photo I.D., you and your guests will be required to sign-in and out when entering and exiting the pool area. Information obtained from the sign-in sheets will be used to monitor pool operation. Your cooperation is sincerely appreciated! McNair Farms in conjunction with High Sierra Pools is offering swimming lessons this summer. If you are interested in having your child participate, please visit our website www.highsierrapools.com for more information and online registration or you can send an email to lessons@highsierrapools.com or call our office at 703-920-1750.